There are few things as special as spending quality playtime with your little one. However, there comes a time when your teeny tot needs to learn to play by themselves – even if just for a half an hour so you can get the necessary things done! Spend alone time in the same room, so that you’re within sight of your toddler, while leaving him or her with plenty of toys to play with. Set an example – for instance, choose an alone time activity for yourself that your little one can mimic, like reading or painting. Don’t rely on TV or video games to keep our child entertained – that just replaces his dependence on you with dependence on electronics. The goal is to surround him/her with “open-ended” toys that they can learn to find their own games in. 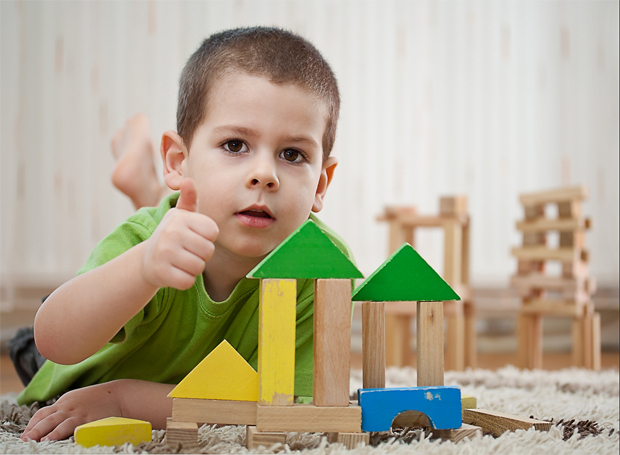 Set up a safe space where your little one can experiment and play alone without risk of getting hurt. Don’t interrupt! If he’s in the zone, leave him be – even if it means postponing dinner by fifteen minutes or so. It gets a little messy, leave them be. The idea is to relinquish control for a little while until they’ve figured out how to entertain themselves effectively. Afterwards you can encourage them to pick up toys, etc. Precede “alone time” with quality mom-and-child time so that your little one won’t associate alone time with abandonment. Help your teeny tot to get the game going and then leave him to carry on playing by himself. Don’t give into their every whim and fancy – if your child has enough toys and requests another one, don’t give in. It’s important for a little tot to understand that you won’t come running during alone time. Understand that it will take some practice. Initially alone time might only last a few minutes before your child gets over it. Set a timer and make it a little longer every day until he gets into the swing of things. Have any other tips that have worked for you and that you’d like to add to the list? Drop it in the comments below!